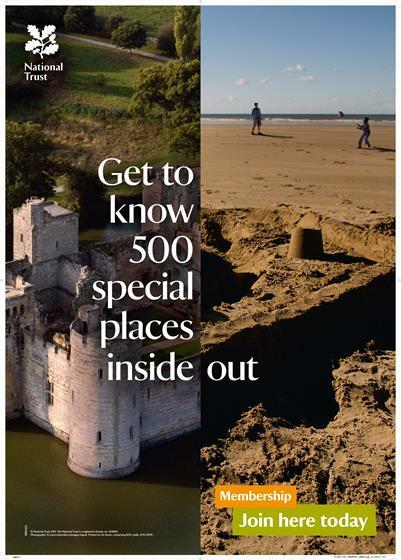 The National Trust has launched a campaign that encourages people to get to know its "special places" inside out. The campaign, created by Lida, aims to remind people about the range of places they can visit whenever they want if they are a National Trust member. The copywriter was John Warwick and the art director was Paul Skeffington. The work includes posters, leaflets and sales aids for the National Trust. 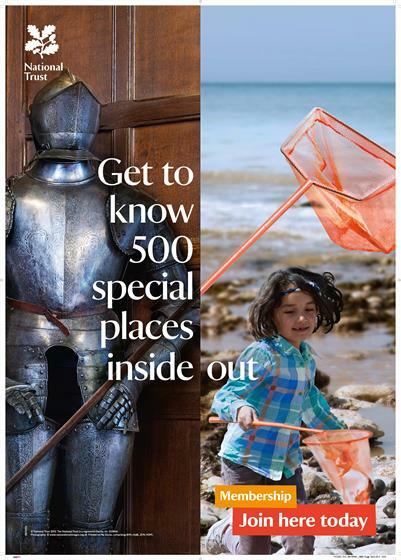 Melanie Nursaw, the head of acquisition at the National Trust, said: "By encouraging people to visit the variety of National Trust places, the new campaign aims to engage and bring about closer connections between the National Trust and its members – from pay-to-enter sites such as historic houses and castles, to those with free access, such as beaches and countryside spaces." 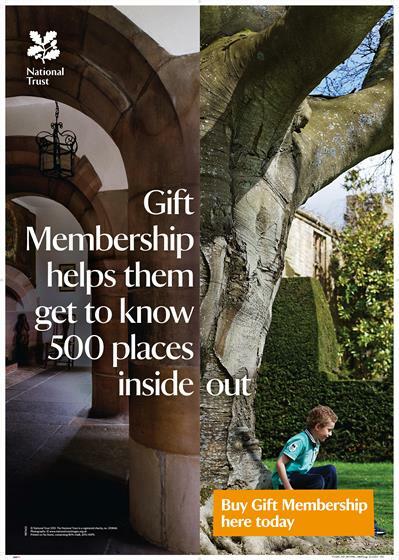 In 2014 the National Trust’s membership grew by 12 per cent, according to Lida, which handles the charity’s CRM account. Nicky Bullard, the executive creative director at LIDA, said: "This campaign neatly demonstrates how far your membership goes. "The inspirational imagery brings to life the experiences membership opens up and the special places you can visit."